Sign in or sign up to write a post. 'Pink Fir Apple potato' is a maincrop potato variety with pink skin and cream, waxy flesh. It has a long, knobbly shape. Blooming colours are blue-violet, mauve taupe and light pastel purple. Blooms are about 2.5cm in diameter at full maturity. The flowers are in single form normally with 5 petals. Knobby shape making it hard to peel. Grows to about 1.2m in height. "Another potato favourite is Robin Adair, It was popular in New Zealand during the 20s-40s, and was all but lost, really, and I can't remember where I got the seed from but someone gave it to me and they have taken off here. They are big potatoes. Last summer I had 61kg from just 1 row of 5m. They are especially resistant to blight." In the home garden potatoes for early planting should first be set to sprout in a light, frost free airy position. Well-sprouted tubers can be planted shallowly in a warm position, but must be earthed up after the shoots appear, and continued earthing-up must be done while danger of frosts is present. Early varieties are: Epicure, Robyn Adair potato , Cliffs Kidney and Arran Banner. Main crops for late planting include, Arran Chief, Iron Duke, Inverness Favourite, Dakota and Auckland Tall Top. Stewart island potato Found by Kay Baxter rowing wild in a clifff face along the shore on Stewart Island around 1990. It is an extremely beautiful variety similar in shape to Whataroa and Chatham Islands however this one has pink rather than purple colouring on the skin. There are five new buttons on the top of every page in Growstuff this week. They're the five most useful actions for someone tracking their garden. "My Gardens" is where you can see what's going on in your garden, and for perennial crops, you'll see how many days to harvest, and a progress bar to the predicted time the planting will finish (i.e. plant death). You can choose a planting and record activity such as harvests, or finish, saving seeds, or a photo. "Plant something" is to record a new planting in your garden. If there's enough data from other growers (or your garden), we can do some predictions. If there's not enough data yet, go ahead and grow and log your results. Then we'll be able to start predicting next time. "Harvest something" is to record the fruit, herbs, vegetables and other edibles you harvest along the way. The more you log, the more accurate our predictions get. "Save Seeds" is to record when you keep seeds from a plant. From this information, you can see which plant each of your seeds came from, and over time compare the photos of the plantings. This is to help you work out if your 2nd or 3rd generation plantings are still true to the original, or if you're successfully selecting for the trait you want. You can also use it to record the inventory you purchased. "Write blog post" is for free form notes about your gardening adventures. The Open Farm project is quiet right now and needs some contributions to get the tests running again. It's got some really nice data in there we could use (and access by API). If i can get seasonal information, and other "how to grow" such as crop rotation, that will be useful. Right now we predict plant harvest - and we could suggest growing crops, but this would result in suggesting growing Kumara in winter, which is doomed to fail in my garden. we have a puppy. She's gorgeous but she's also destroying my garden. This year I think i won't be planting out a garden, because i know she'll dig it up. There is also the New Zealand flax 2hich I've made as a new crop separate from the existing flax crop. I have renamed the flax crop to common flax as its a different plant and that's what it's called on Wikipedia. I've planted several kawakawa recently mostly for medicinal use. It can make a reasonable tea with lemon grass. I'm going to attempt to grow potato over winter. To prepare I'm going to do a full garden bed of mustard and then dig the greens into the soil. Add compost and blood and bone. I've never attempted potato over winter. It can get very wet here, and in August it drops below 0C for a few weeks. Also on the list to plant is parsnip and carrot. Cyclone Gita is due here on Tuesday. I'm gonna need to bring in the tomato stakes and other items that might turn into projectiles. I am trying to compost as much kitchen waste as possible. Something i've been working on is the predictions on GrowStuff.org. If you go to you gardens page there's now a progress bar for each annual planting. That's plantings that are expected to complete there lifespan in 2 years or less . the progress bar is % until the plant is finished and can be removed. I also built a "first and last harvest" predictor. It's based on the median time from planting a plant until it is first harvested. It's only as good as the data on Growstuff. The predictions for crops like coriander and basil look pretty good. Right now, coriander says: Median lifespan of coriander plants is 156 days. First harvest expected 36 days after planting. The last harvest expected 115 days after planting. Meanwhile, basil says: Median lifespan of basil plants is 178 days. The first harvest expected 51 days after planting. The last harvest expected 49 days after planting. The last harvest sounds wrong, but we have a lot more data on first harvest than on last harvest. A planting has to be marked as finished before we know that a harvest was the last. that looks like the basil plants hang on a long time in people's gardens while not being harvested anymore. The predictions for the perennial plants aren't quite as good, e.g. strawberry which has " Median lifespan of strawberry plants is 15 days "
Vermicompost for sale or trade! My worms have been going gangbusters so I have several kilograms of high quality vermicompost for sale of trade. On ebay it goes for $20/400 grams but I'd be thrilled to get $10/400 grams or to trade for interesting plants. 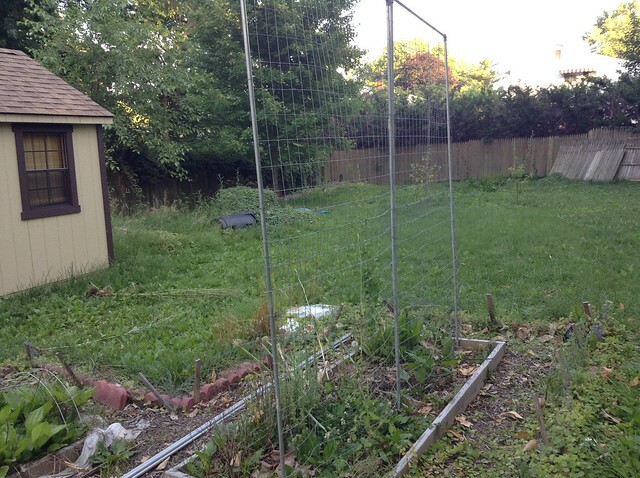 I intend to remove the raised beds, and just dig the lawn up to be garden. It'll give more area. 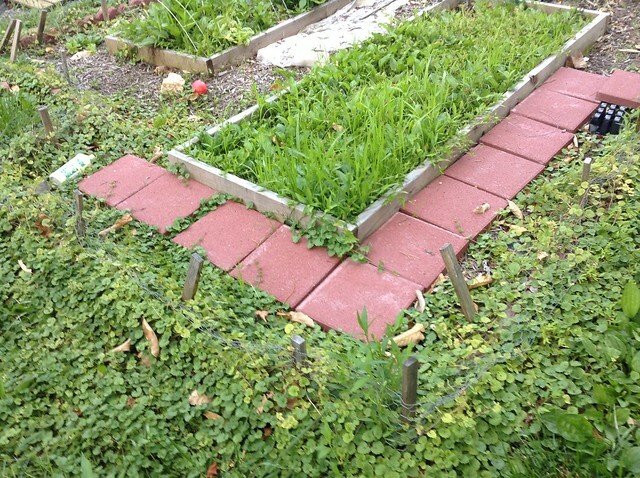 The current wooden raised beds might end up. On the front lawn. harvest the first feijoa. They were so heavy they broke a branch on the tree. I planted some broccoli at the start of spring.. I grew fast, made long stems and quickly turned into yellow flowers. I conclude the first spring summer months aren't good for brocoli. So I've got some new seedlings in now, in the heat of summer, hoping that by the time i put them in the garden the weather will turn more autumn. I like to automate the calculations, analysis, and plain old remembering what has happened in the garden. Some of the challenges in my garden is knowing when it's too late to planting something, if it will cope with the weather conditions here, and working out what is killing the tomato. The broccoli went into the on seed, I think because it was planted too early. I suspect I've got consistently great yields of potato and carrot, but I'd need to more diligently record that to find out. Remembering what I planted where, to properly crop rotate, would be useful. I've mostly been a summer gardener, so knowing what to plant for successful winter gardening would be great. We've been rock and rolling with 7.7 Earthquake at midnight and i lost count of how many 6-pointer aftershocks - and a tsunami evacuation. Super tired, this morning we went home for about 90 minutes sleep - and then went looking for something normal (instead of our wavy shaken up house). School is closed, the city cordoned off. We ended up at the garden shop, it having the only cafe open on a Monday. Lots of plants acquired. Many large tomato seedlings, three artichoke, some perpetual spinach and chives. They'll mostly go into the large garden bed we need to dig (frame is built). They'll need wind shelter. We've got a high winds warning for tonight (YAY! more disasters) so the seedlings are sheltering behind a north fenced. The winds are nearly always northerly here, but a north fence of course also blocks the sun from the north - so it'll need something better. Kūmara has been part of the staple diet of people in te Motu Kairangi for hundreds of years - so i figure it should grow here. I come from a long long line of potato growers, so maybe the genetic skills are transferrable. I planted 4 kūmara into pots, with sand above and below, and left in a sunny spot on the deck. These should sprout and make tupu (i think this is "slips" in english). I came across this post talking about how habanero and similar can be preserved; might have to give that a go. i meant to suggest "mesclun"
We've just made some minor updates to the website. These are mostly behind-the-scenes, enabling our next round of improvements. I've just uploaded some more recent photos of my plants. The parsley is still going strong, having seeded itself in a second spot along the box. One patch has died back a bit - I clearly need to pick it and use it more often. The chives have also died back a bit, again probably because I wasn't harvesting enough. The aloe vera has tripled in size - if anyone in the area wants some, there's plenty. Along with a ton of geraniums, which apparently love my dry soil whenever I forget to water. You may have noticed that things have been very quiet with Growstuff for the last year or so. This is primarily because I have been dealing with some serious health issues that left me unable to manage Growstuff, or even to spend much time online, since early 2015. Things are looking somewhat better these days, but I’ve realised that I’m not going to be able to give Growstuff the attention it deserves. The time has come to step back officially and put the project in the hands of people who can take better care of it than I currently can. Miles, Cesy, and Maco, three of the developers on the Growstuff project, will be taking it over from here on out. All three are experienced open source contributors, and Miles and Cesy were two of the very first coders to join Growstuff in 2012. I will be shutting down Growstuff-the-business (which was founded in the hope of being able to pay people to work on the project, but sadly didn’t pan out) and the open source project will become a community-run one. I know that Miles, Cesy, and Maco will do a brilliant job, continuing to build the Growstuff platform as well as maintaining Growstuff’s traditions as a supportive and welcoming open source community. I wish them all the best. Thank you for supporting Growstuff. Subscribe to the Growstuff posts RSS feed or comments RSS feed.